The 2017 Women’s March turned into something organizers did not expect this year. People turned out this year, in massive numbers. The main march was set to take place in Washington D.C. however millions of women joined together all over the country, not only to show their support for their fellow sisters, but also to protest our newest President, Donald Trump‘s undesirable comments against women just one day after his inauguration. Cities all over the planet are jam packed, shoulder to shoulder. CNN is reporting that 2.9 million people showed up all over the world for the cause. In fact, the march in Chicago was cancelled due to much higher attendance than organizers expected, and control of the crowd could not be possible. The Chicago rally ranked second in attendance only standing behind Washington D.C. where the official rally took place. The Chicago Tribune calls it a ‘mushrooming crowd’ reportedly estimated at 150,000 people gathered in Grant Park. Despite the cancellation, demonstrators continued their own unofficial walk throughout the streets. Many streets are not only closed in major cities like Chicago, also New York, Los Angeles, and Boston, are just to name a few other cities affected. Here’s a video of Washington D.C.’s streets at a complete standstill because of the insanely large crowds. Organizers in Washington D.C. obtained a permit for a gathering of 200,000, but the latest numbers to come in are totalling up to a half of a million people. Many celebrities traveled to the countries capital to show their support as well. Madonna spoke to the crowds, and did not hold back dropping two unapologetic ‘F-bombs’. Janelle Monae was a headlining speaker for the event that was broadcasted all over the country. Miley Cyrus is no stranger to standing up for what she believes in. She was at the march in L.A. appearing to be in a great mood. Ariana Grande arrived pushing her ‘Nonna’ (her grandmother) through crowds at the march. Katy Perry also joined a sea of thousands of women marching down streets. Actress Scarlett Johansson was a main stage speaker as well at the march in Washington. Many of the people in attendance were Beyoncé inspired. 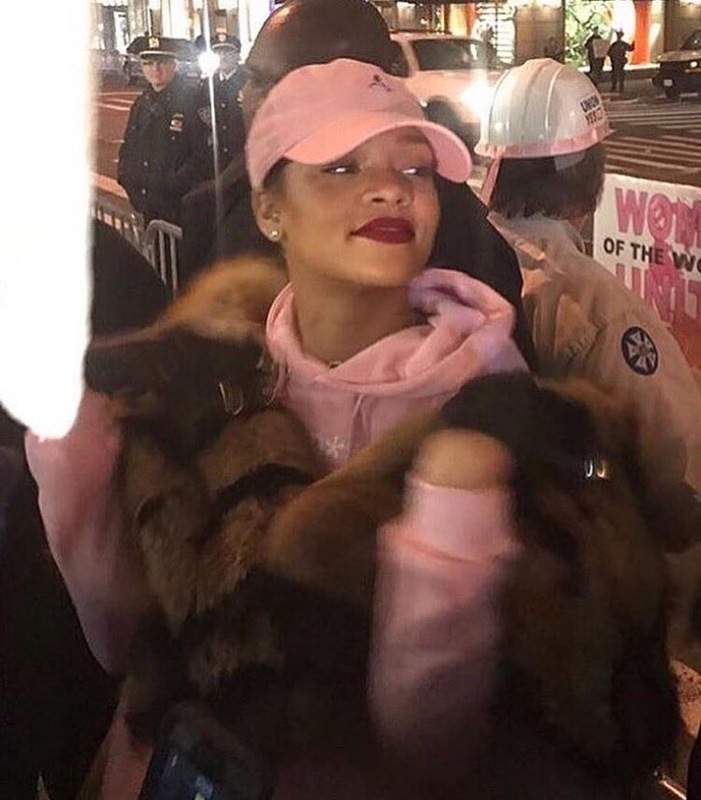 Many people took lyrics from the feminist performer’s newest Grammy nominated album Lemonade. Actor Jake Gyllenhaal was spotted in formation to say the least. Model, TV personality, and wife of John Legend, Chrissy Teigen took time to take some selies with some of her fans during the event Saturday morning. The March went on until night. 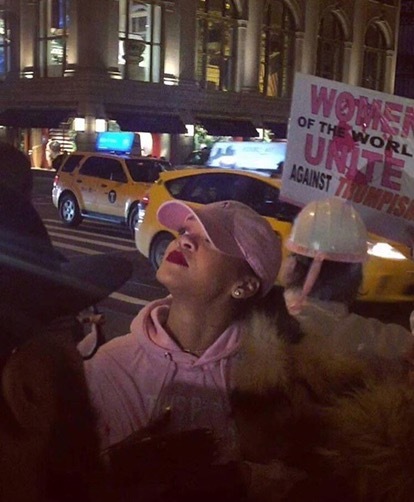 Rihanna was spotted marching and standing in the protest in front of Trump Tower in New York City. Tagged as: Cher, Chicago, equality, Janelle Monae, Katy Perry, Madonna, Miley Cyrus, Scarlett Johansson, Washington D.C.